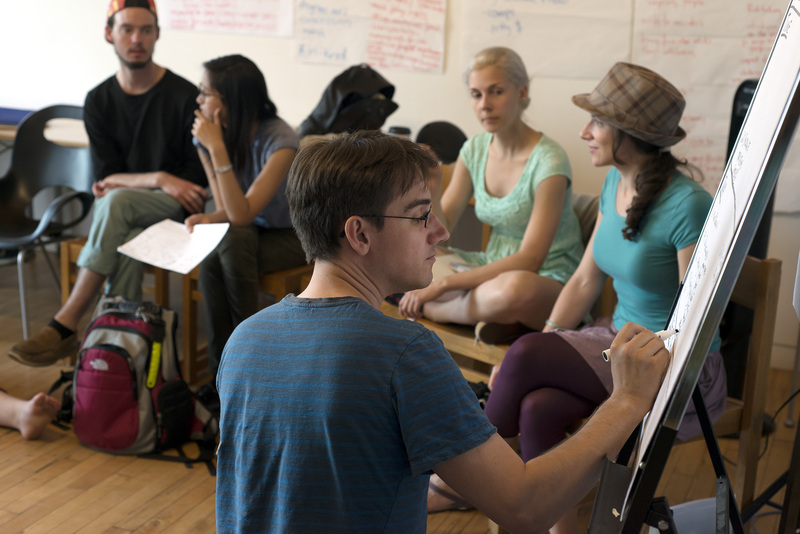 TENT connects emerging artists with established artists and theatre leaders, to nurture a new generation of knowledgeable, empowered, creative, self-producing independent artists. Workshops > Develop the necessary skills to pursue your career in professional theatre throughout an exciting and diverse series of workshops in areas such as promotion & publicity, grant writing, well-being, and more. Guest Advisers > TENT workshops are led by guest advisors who are respected working artists, producers and managers. The program provides an excellent opportunity to connect with the professional artistic community. Free Shows > See 2019 Toronto Fringe Festival programming at no cost with a TENT Rush Pass. Bursaries > A limited number of $500 bursaries will be available for participants, with focus on those from priority neighbourhoods. Applications for the 2019 TENT Program are NOW OPEN. Emerging theatre professionals ages 18-35 years old. Must be available beginning July 2nd, 2019 and for the duration of the Toronto Fringe Festival (July 3rd-14th). Please note that as there are only TWENTY available spots, post-secondary students (including those in theatre school) will not be considered unless currently in their final year of full-time study. TENT gave me access to the hardworking people making theatre in Canada, and it taught me how I can be one of them.